The decline of bees have been in the news a lot lately. The overall condition is called Colony Colapse Disorder (CCD). There are many factors that contribute to the disorder, including climate, pests and pesticides. Much of the decline has been credited to the use of Neonicotinoids, or neonics. These are class of insecticides widely used throughout the world for killing insects in crops and used by home gardeners in systemic pesticide products. However, it is thought they may be having a significant effect on bee populations. 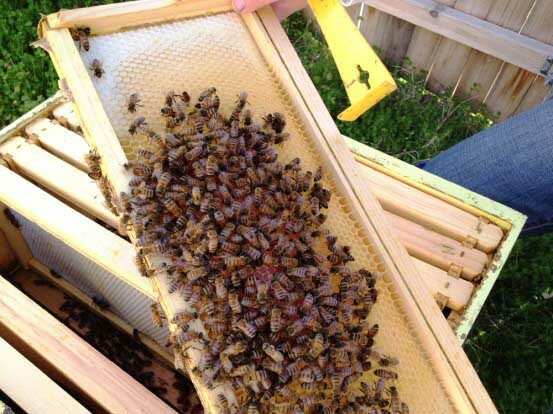 Without bees, fruits and vegetables will not be pollinated. Imagine meals with no apples, avocados or tomatoes. 30% of everything we eat requires bees, as well as 90% of all the world’s plants. Many beekeepers around the world are reporting bee losses of 40-70% this year alone, according to recent reports by the Pesticide Action Network. While many countries have begun to ban neonics, the EPA’s current review will not conclude until 2018. We are committed to organic, eco-friendly and natural methods for keeping our landscape not only healthy, but also safe and beautiful. So this is an issue we’re keeping our eye on and we hope you will too. Feel free to share our post to help the word about the bees!